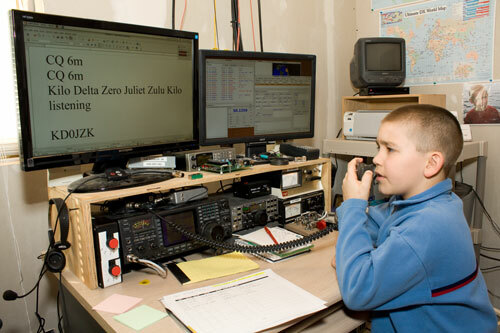 Here is a picture of Ben on the air this morning trying to make a contact on the magic band. Here Ben's first contacts in the log from last night and this morning. 28.310mhz – the band was virtually closed even 8 miles away. OpenOffice and sent it to the laser printer so that we could get going.